I'm a millennial, which necessarily means that I'm nostalgic for everything 90's. That's not entirely true—there are plenty of things from that time period that I'd prefer stay in the past (like the music and brown lipstick). 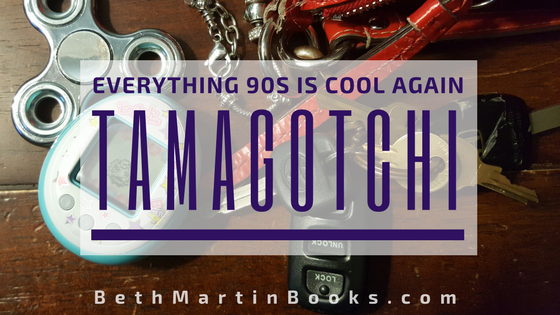 One of the many things that have come back is the Tamagotchi. 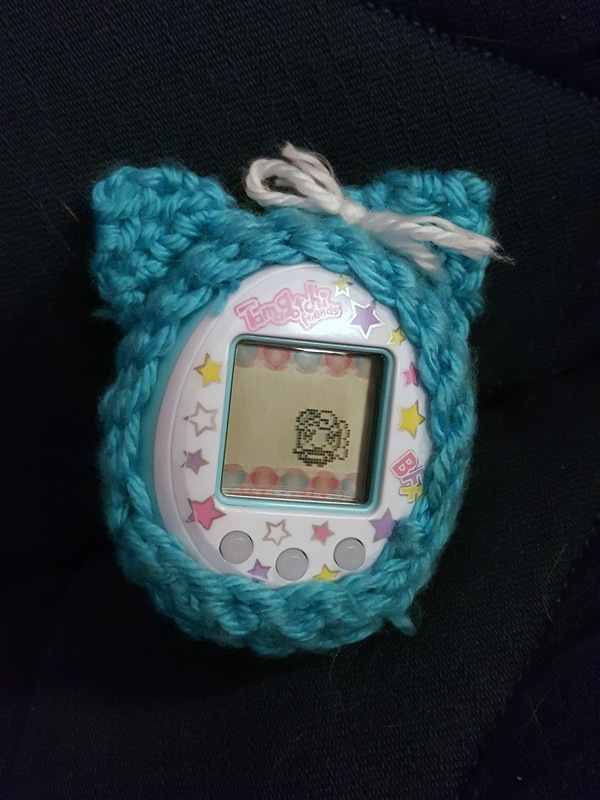 I got one of the new Tamagotchi friends as a birthday present and must admit that I am really pleased with my new virtual pet. There are a lot of differences from the original which make it a much more enjoyable toy. For one, it has sound control and can be muted. Also, it can be paused. If you fail to take good care of it, the pet simply returns to its home planet instead of displaying a grave site. It's also much less demanding, and the games are actually fun. I was 12 when I got my first virtual pet. Feeling up to the challenge of finding the newest fad toy, my dad took me to countless stores trying to find one. As a last ditch effort, we went to the mall to see if one of the specialty stores there had one. There was an eclectic boutique which sold tie-dye Star Wars t-shirts, sesame street coffee mugs, and knock-off beanie babies. They had one Tamagotchi left. Or, at least I assume it was a Tamagotchi. The packaging and instructions were completely in Japanese. It was hot pink—my favorite color—and if I could trust the pictures on the box, would grow up to be a dinosaur. I couldn't wait to take my prize home. And then my little pet grew up to be a turtle. Not the cute T-rex pictured on the packaging. A turtle. When I refused to take it with me to school when the school year started up again, one of my friends asked to borrow it. I gladly passed on the now neglected toy. Little did I know, some delicate part inside had broken, so when it needed attention, it replaced the little blip blip sound with an incessant screeching. Naturally, the battery compartment was impossible to get to, so my screaming Tamagotchi ended up wrapped up in napkins at the bottom of some teacher's drawer while my friend got detention. In short, my new one is much, much better. Although now that I'm an adult and have two living breathing pets and a couple kids, I get a sense of amusement from ignoring the responsibilities around me to play with and feed my fake pet. 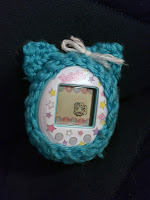 **I even went the extra mile to make a cute cover for my Tamagotchi. Check out the crochet pattern!